Dalazak Tomb in dilapidated condition due to negligence of authorities , Trees grown in Tomb which damaging the Tomb quickly. PESHAWAR: The Mughal tomb at Dalazak was built by one Shah Qutb (Zain-ul-Abedin) during the reign of Mughal Emperor Akbar. This plastered brick made building stands alone on a raised ground and is octagonal in shape with four entrances on the four sides. These entrances open under a high arch, underneath which is an arched doorway with a window above. The interior makes a square hall, each side being relieved with a tall arched panel, topped by a horizontal line of moulding. The interior is decorated with floral patterns, other geometric patterns make the interior lively. This Mughal period structure is a protected monument of the Federal Archaeology Department and a watchman is performing his duty there. 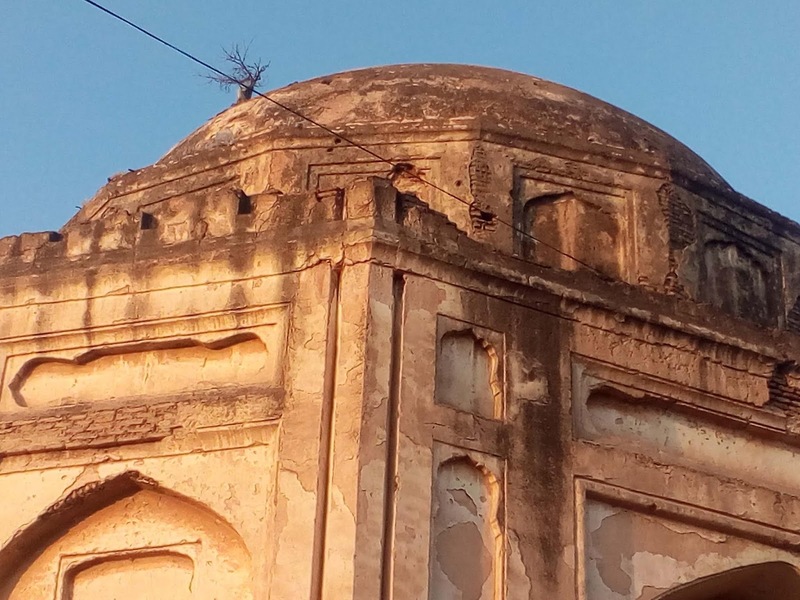 In the wake of 18th constitutional amendment, all the archaeological sites and monuments located in the province of Khyber Pakhtunkhwa are going to be transferred to the Provincial Govt and this Directorate will keep a provision in its annual development program to preserve this monumental structure. President Chitral union of Professional journalists along with Professor Dr Abdul Rashid then chairman Department of Botany Peshawar University, Professor Dr. Lal Badshah Botany Department PU and Abdul Rab a student of BS Botany visited this site. The Tomb condition is very poor and all of its fencing doors were lock but there was no chowkidar no staff to get information from him. As well as no sign board has been fixe there to scribe information to general public, guests, tourists, students and researchers of Archeology. This scribe contacted Dr Abdul Samad Director Archeology department KP who sent contact number of an other officer namely Mr Nawaz who given the information. During visit of Botanists experts it was revealed that a tree has been grown on the top of Tomb. Pro Dr. Abdul Rashid told this scribe that this tree is harmful to this historical cultural heritage (Tomb) and can damage it. Dr. Lal Badshah said that root of this tree spread some chemical inside the tomb and can damage it very soon. This is 5 to 6 years old tree he added. It means that the historical site either never visited by any officer or they not put attention on this tree to eradicate it and to save this historical Tomb. Local people also complained that watchman (chowkidar) seen very less on the site and no officer visiting this Tomb to analyses or check its condition to save it from ruining. 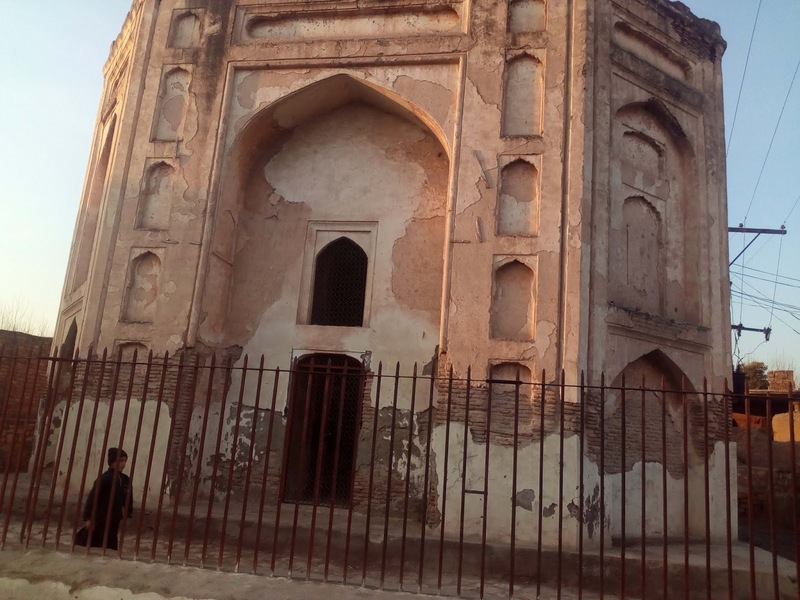 Local people demanded from the federal and provincial government to conduct an inquiry in this regard that why staff getting salaries on name of protection of this Tomb but they not perform their duties as well as fund using on this Tomb in paper may also be ascertain.